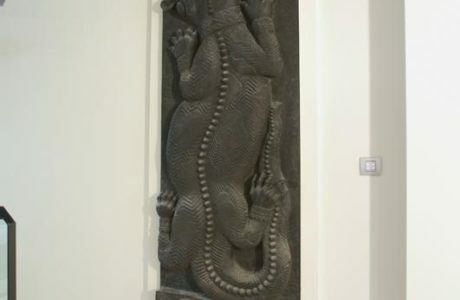 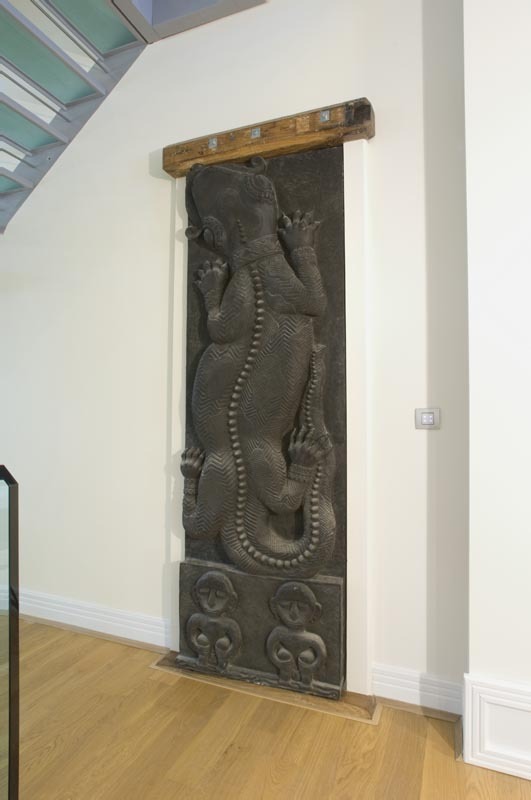 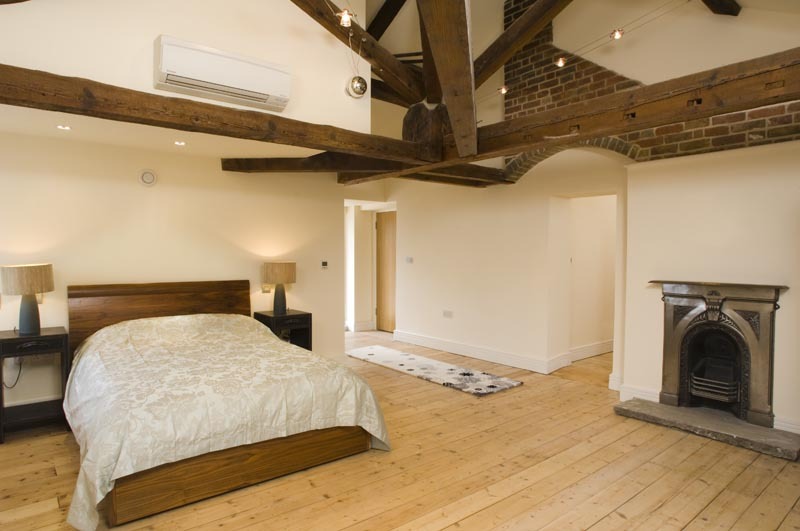 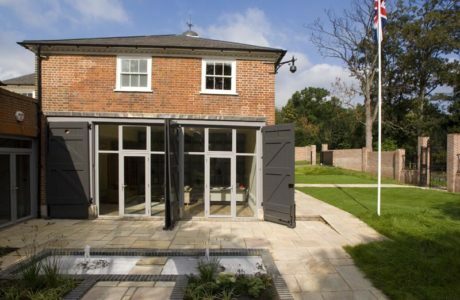 Contemporary eco-features are not usually found in the same bracket as historical architecture and period features. While a listed historic building may form the romantic picture of the ideal home for many buyers, increasingly these same buyers have a growing conscience about environmental issues and wanting to be green. 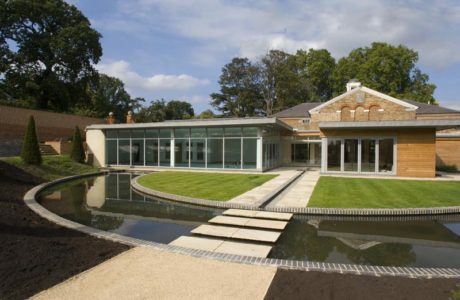 At Foots Cray Place, Barry Morgan of Morgan Restoration has proved that these two elements don’t have to be at odds, by turning a 250 year old listed building into an impressively up-to-date Eco home. 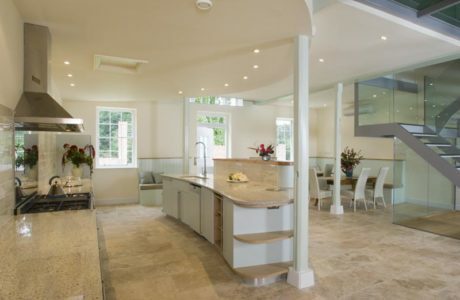 It has taken the last two years of painstaking attention to detail by Barry Morgan to transform this Grade II listed former stables complex from a state of complete disrepair, into an elegant 21st villa with all of life’s luxuries and the same energy efficiency as a new build apartment. 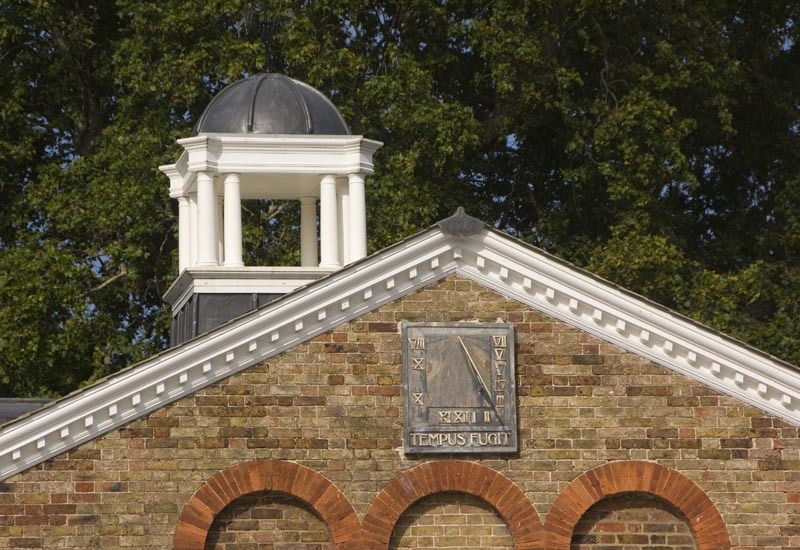 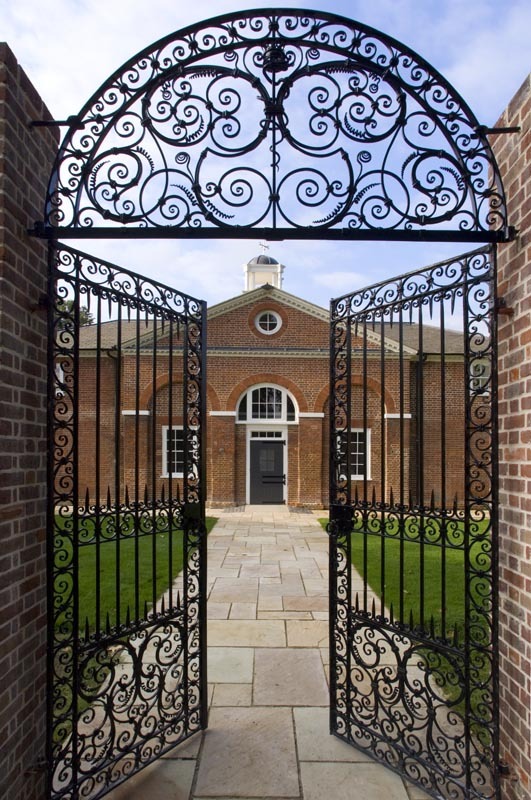 Set in two acres of grounds, the stables was part of the original Foots Cray Place, an impressive Palladian estate designed and built by Isaac Ware in 1754 and further developed by its last private owner Lord Waring, who acquired it in the late 19th century. 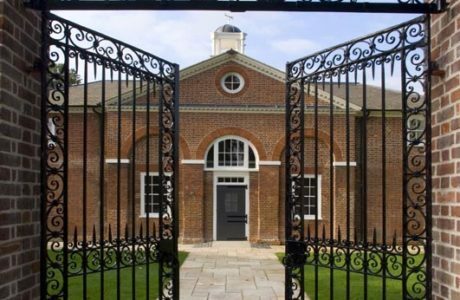 The original mansion burnt down in 1949 and these buildings, carefully brought back to life in a project described as ‘excellent’ by English Heritage, are the only significant remaining structures of one of Britain’s 18th century stately homes. Morgan Restoration worked with Architect Shane Jell to extend the original building by adding a modern extension. This striking juxtaposition of old and new brings this Georgian building bang up to date. 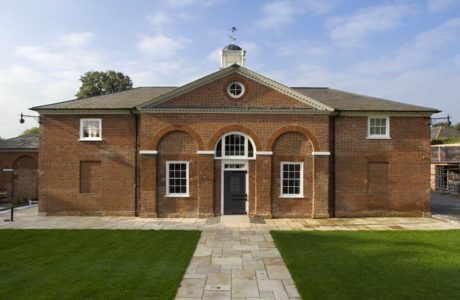 The elegant proportions of the Georgian structure with symmetrical façade, arched windows and elegant cupola topped with a weather vane, are complemented by the expansive glazing of the modern extension and contemporary fixtures and fittings. 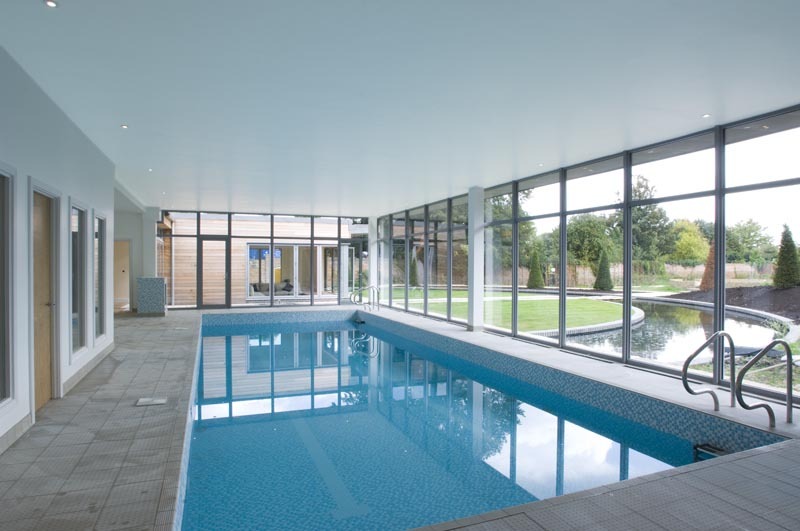 The new Foots Cray Place retains the sense of open space and grandeur of the original estate. 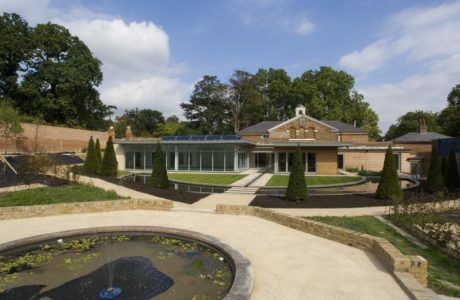 It overlooks the 240 acre Foots Cray Meadows, a Grade II listed Park of Special Historic Interest owned by the London Borough of Bexley and has its own formal gardens designed by Chris Beardshaw, the BBC’s ‘Flying Gardener’ and Chelsea Flower Show Gold Medal winner. While within a convenient 10 minute drive of the high streets and stations of Sidcup, Chislehurst and Swanley, it is peacefully situated in the foothills of the North Downs. 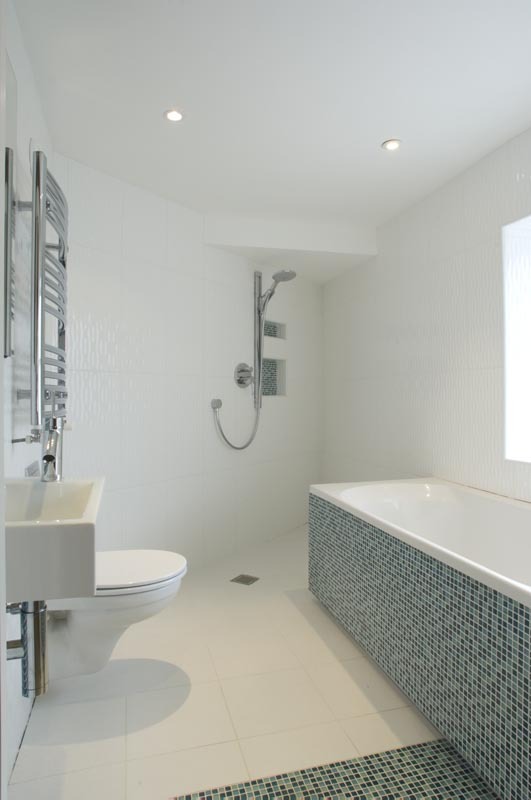 In terms of energy performance, Foots Cray Place has been certified at the same level as a two bedroom new build apartment, constructed to current standards. Despite its green credentials, the building does not hold back on any luxury. 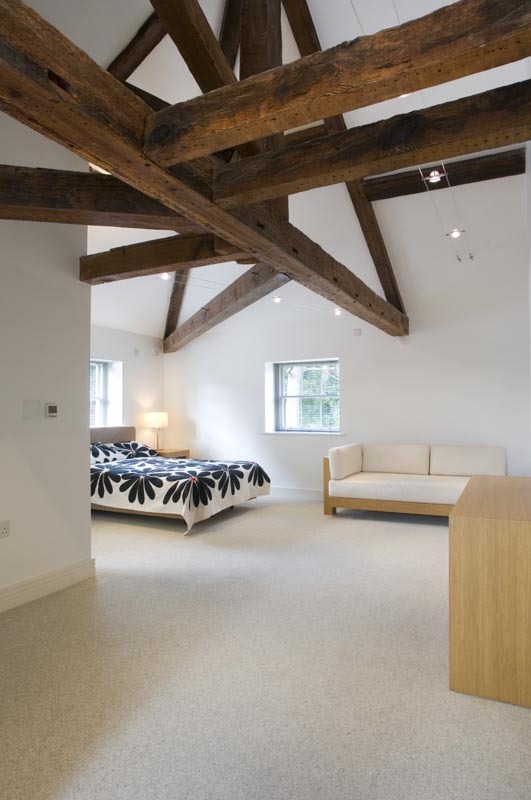 The living accommodation, spread across 10,000 sq ft, is extensive. 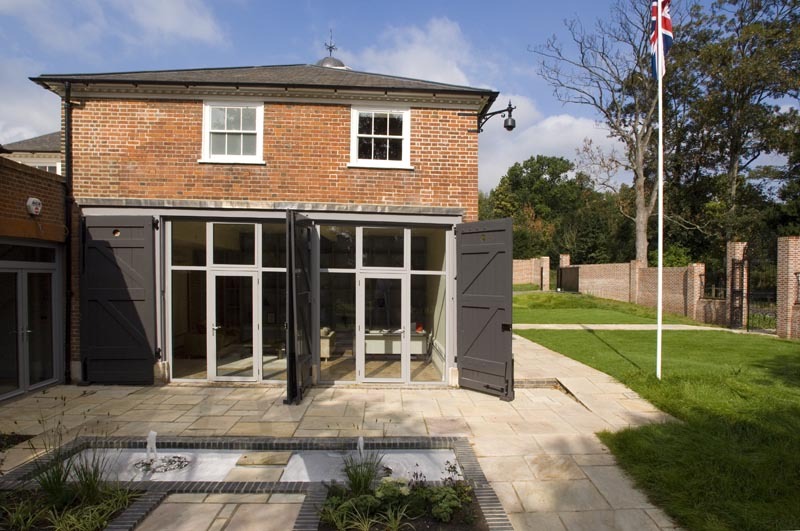 The modern double glazed front door leads into an entrance hall and gallery with original tiled floor, positioned on the outside of the stable building walls so as not to take away from the main internal living space. 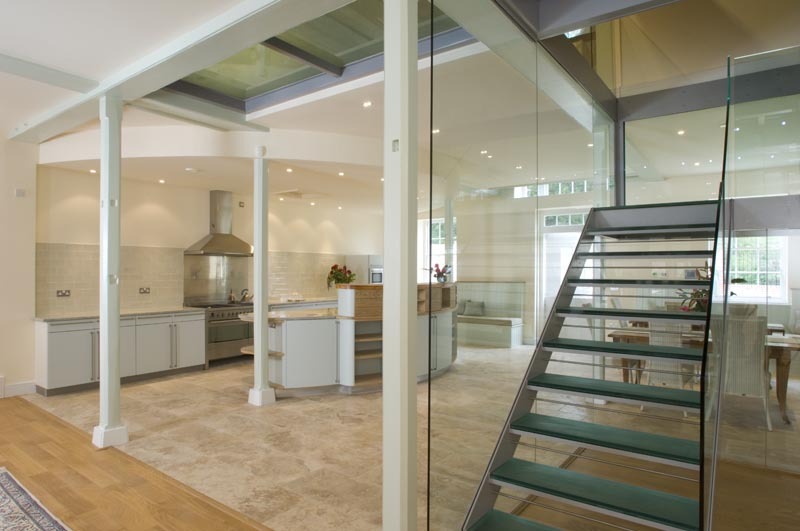 The living spaces have grand proportions – the dining area has enough space for two tables and going upstairs via the contemporary glass staircase, the central space is criss-crossed with original timber beams, below a lofty 16ft ceiling. In the bespoke kitchen, a counter top is made from reclaimed wood salvaged from when the building was in disrepair and original posts from the stable stalls are retained, showing the very act of recycling can add character. 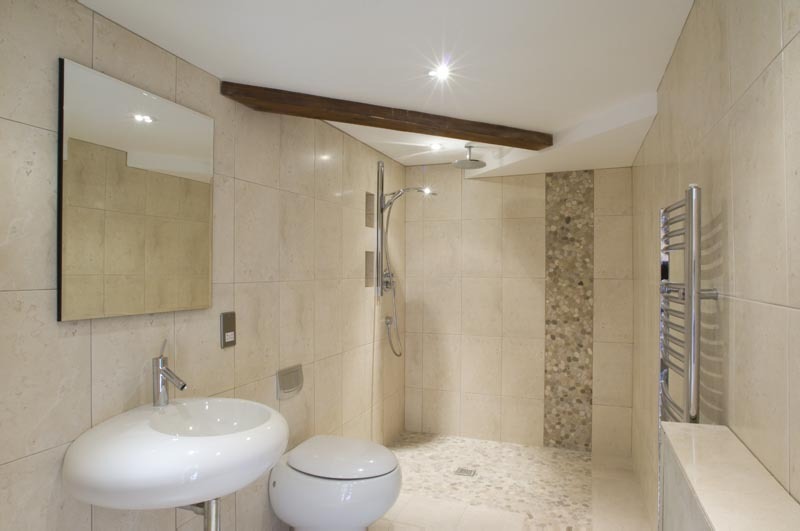 Each of the four bedrooms upstairs has its own en-suite bathroom and further accommodation is found in the two-bedroom Chauffeurs Cottage, which adjoins the main house via a stylish electrically operated glass sliding door. 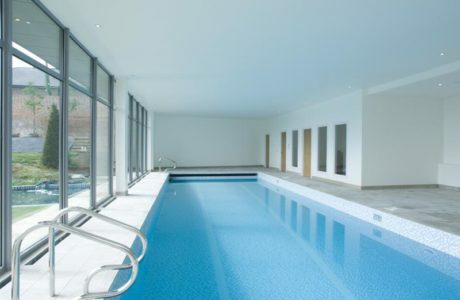 In the leisure complex, a 12.5 metre swimming pool looks out over the garden and has an air-conditioned gym and changing room alongside it. There is an office suite which can be shut off from the main house and covered access to a triple garage. 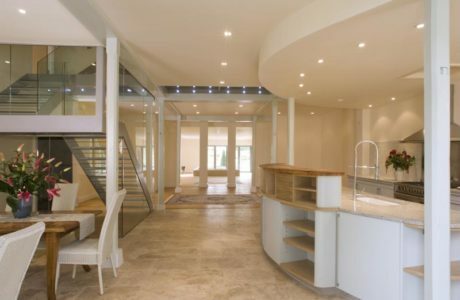 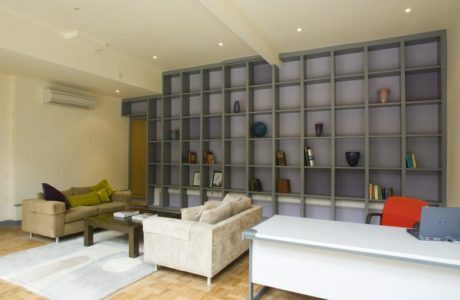 In addition there is a 90m² basement incorporating a utility room, pantry and wine cellar. 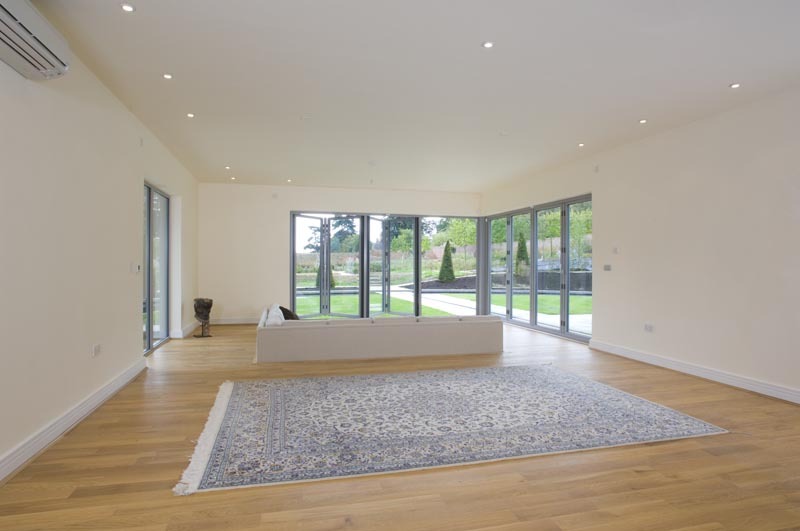 The spacious 6x10m living room with sunken seating area is lined on two sides by floor to ceiling windows, which fold back concertina-like to open up the room to the garden. 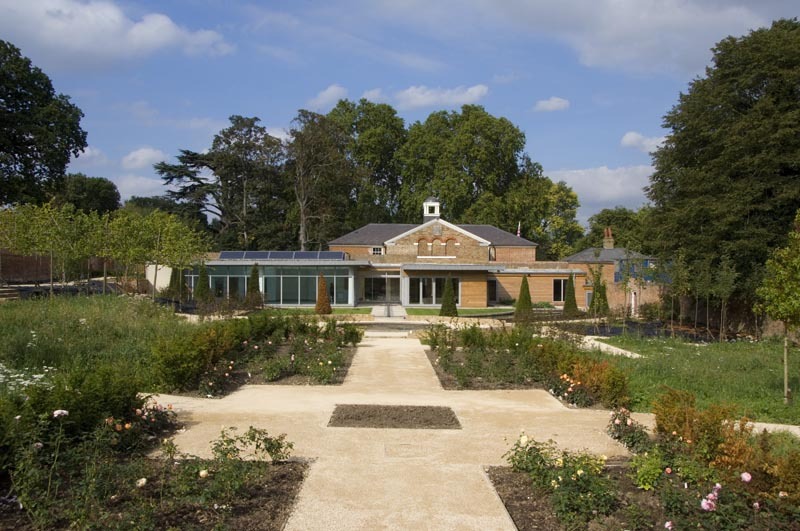 Leading out from here, the semi-circular canal provides a structure to the formal garden, which has been laid out in separate ‘rooms’ of shrubs, wildflower meadow, vegetables and fruit trees. Tying with his design for this garden, Chris Beardshaw’s Gold Medal winning garden at the RHS Chelsea Flower Show 2006 was inspired by Thomas Mawson, the celebrated landscape architect who originally laid out these gardens for Lord Waring. 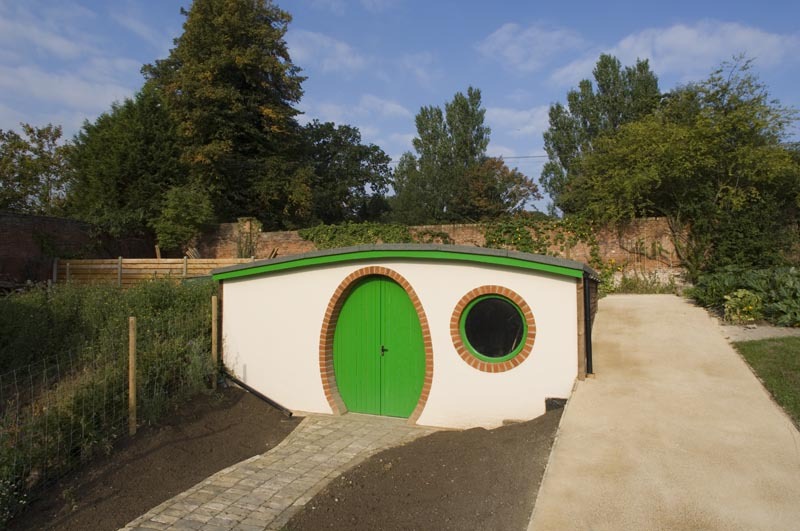 Beyond this, the estate’s original walled kitchen garden has been restored and now is filled with vegetables, a 40 ft greenhouse, a potting shed modelled on a ‘hobbit hole’ and composting bins. 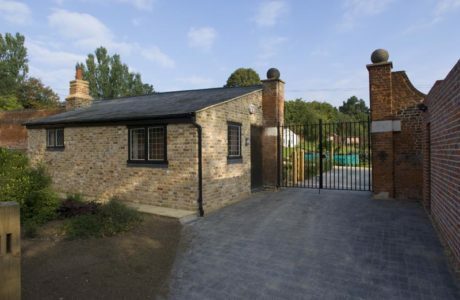 At the far end of the garden, Lord Waring’s smoking room which was built in 1910, has been converted into a two bedroom self contained cottage suitable for staff or guests.